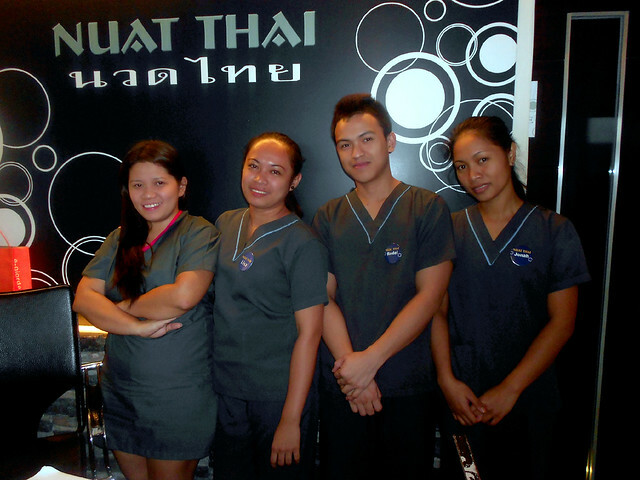 So anyway, Nuat Thai Services Inc. (also called Nuat Thai Foot and Body Massage) emanated from Cebu City and started their operations last January 2005. 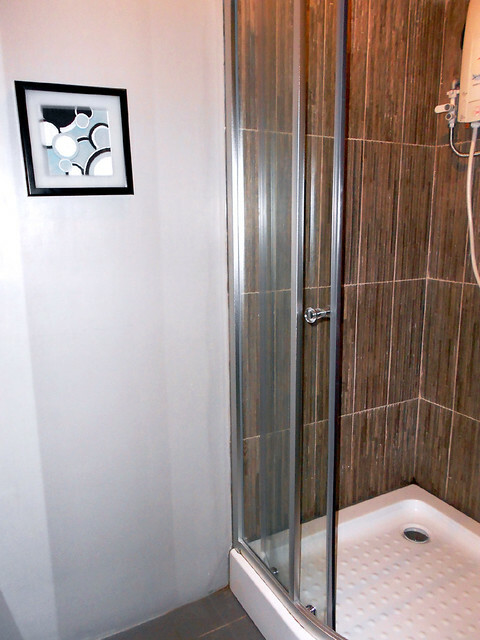 Their services render relaxation and are given by 20th century modern workers. 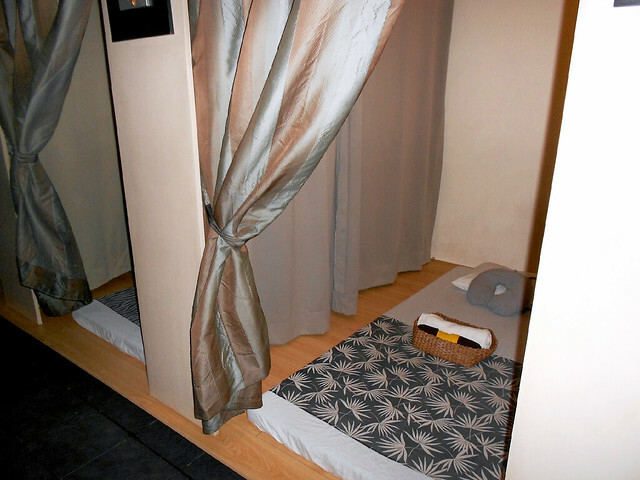 This unique Thai massage has a lot of benefits - its dry massage applies acupressure to our body, abates muscle aches and pains, anti-aging, improves blood circulation and relieves stress. Exactly we all long for, right? 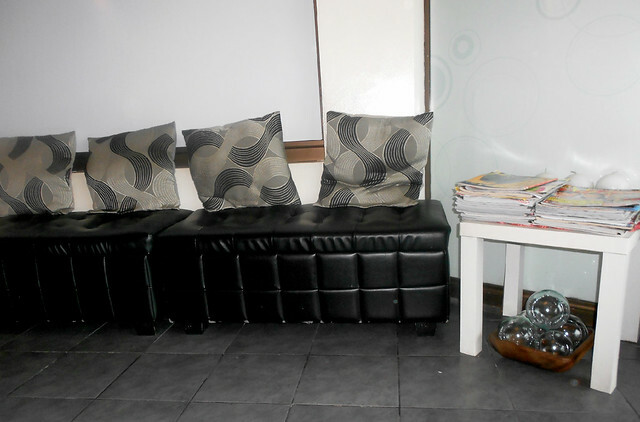 Here's the reception area of Nuat Thai Libis. It may look simple and small, even I got deceived with the place, but when we went inside and explored the area, it's surprisingly huge and mesmerizing! Seemed like we stepped into a totally different world! Ms. Lyca gave us a tour around Nuat Thai Libis and we discovered that they have so many rooms (separate areas for body massage, shower, foot massage). Now on to our delectable experience! 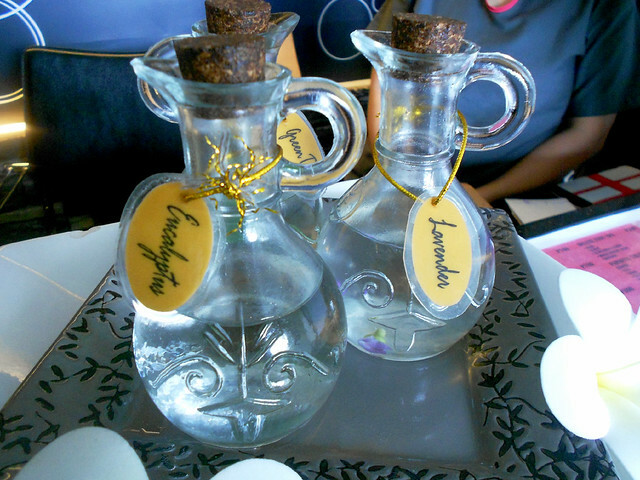 The staff asked us to choose one from their three (3) different massage scents (green tea, lavander and eucalyptus). We opted for green tea! 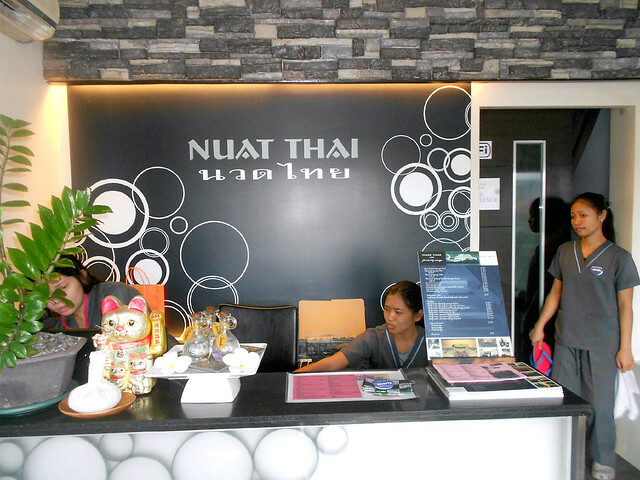 They handed us shorts, too, and after changing, they took us to the Nuat Thai foot massage (1 hour service) area. Here pa lang, super sarap and relaxing na! 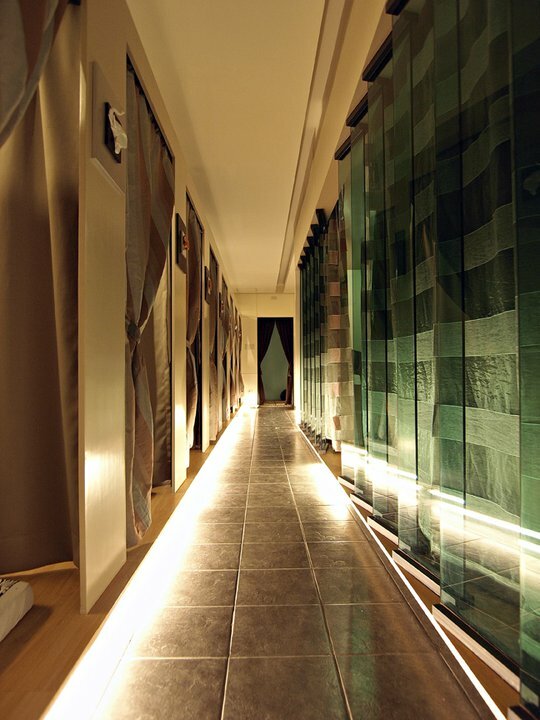 Next, our therapists accompanied us to the massage rooms. We learned that they have two kinds of beds (elevated and not) intended for different purposes. 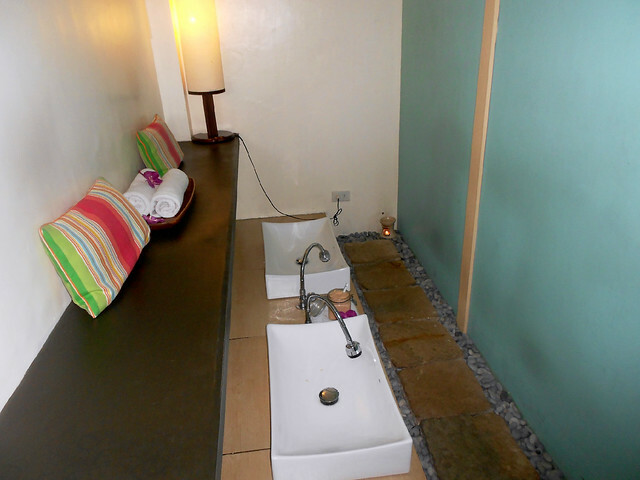 Another elevated bed but this time with a shower area for Swedish massage - this is where we stayed. 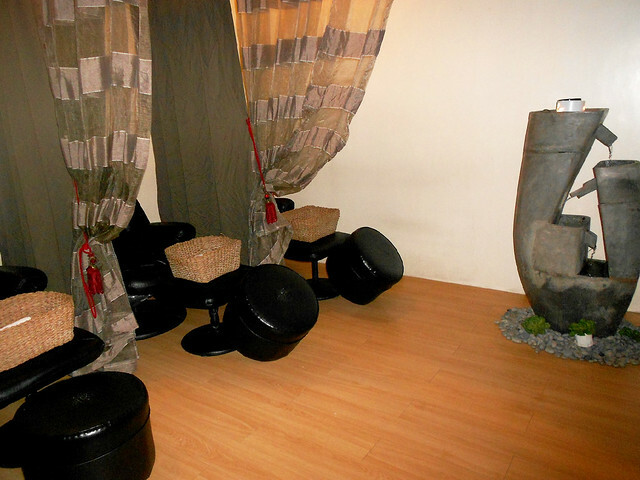 They gave us an extraordinary 2-hour aromatherapy massage, combination of Thai and Swedish massage, with herbal balls. It's honestly my first time to undergo a full body massage almost naked, medyo shocked at first and di sanay talaga, but my therapist made my experience so pleasant and not frightful. 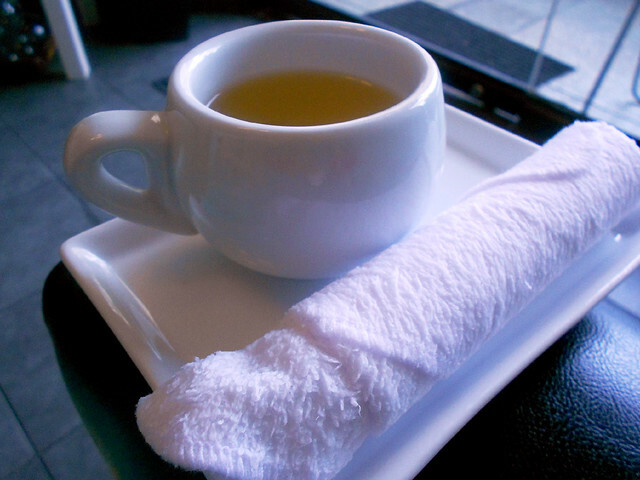 I almost fell asleep with this long and relaxing treatment! Yay! 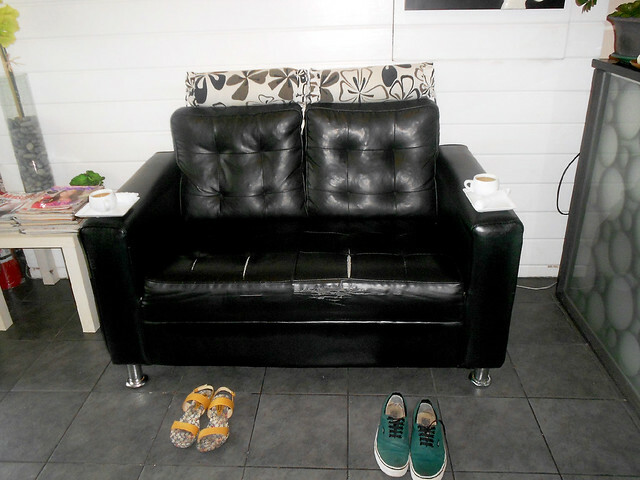 They welcomed us back to the reception area with teas and our shoes! Cute! 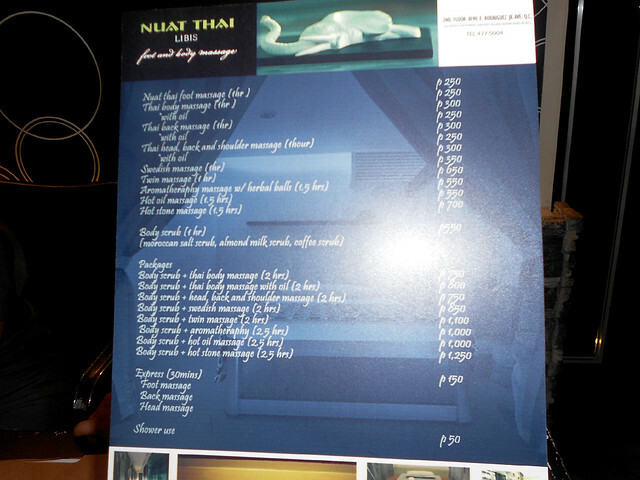 Check out Nuat Thai Libis on Facebook here. and CAN I JUST SAY that i am so darn jealous!! ugh I want a massage too! I love this post, by the way. I will try this place out! Thanks for sharing, ate arnie! @Hershey, AWWW You're so sweet my dear! Thank you so much for appreciating this post. Definitely a must-try! Haha you should focus on your school papers now! Goodluck with that, Hershey! ♥ Thanks again! 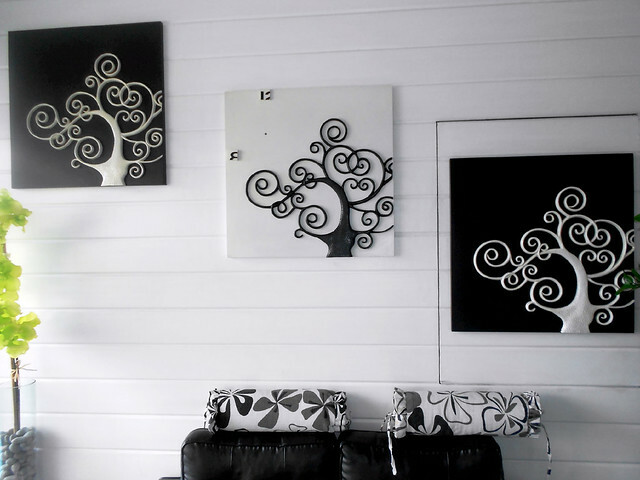 @Aya, ooh! Haha why not!! :) Go try it here Aya! Super saraaap ♥ Felt like I was floating afterwards!